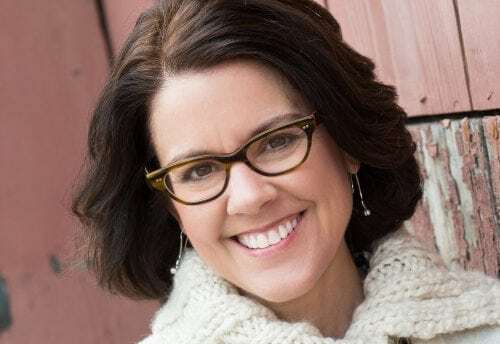 Vizion had the pleasure of speaking with Keynote Speaker Ann Handley at this year’s Dallas Digital Summit. She’s the Best Selling Author of Everybody Writes and the Chief Content Officer for Marketing Profs. Check out our interview with Ann below, as she gives us a sneak peek into what she loves doing in her free time (when she’s not writing best selling books), also her content marketing pet peeves, best practices, and predictions for what’s to come in the world of content marketing. Kristien: I’m Kristien with Vizion Interactive, here at the Dallas Digital Summit with Ann Handley. Kristien: Thanks for being with us. Ann: Thanks for having me. Kristien: So you are the chief content person for Marketing Profs. Kristien: And when you’re not writing bestselling books, what do you do? Ann: When I’m not writing bestselling books…geez. Why does that question trip me up? What do I do? Let’s see, I am walking my beloved little dog, whom my kids are jealous of. I love this little girl so much. I’m in Maine on one of my favorite beaches on this planet. Actually my favorite place on this planet. Or I’m in my tiny house, in my back yard, which is where I spend most of my working hours. Kristien: And when you’re there working, tell us a little bit about content marketing. And do you have any pet peeves? Ann: So any pet peeves with content marketing. Yeah. I mean, as I’m gonna talk about it tomorrow at the Digital Summit Dallas. You know my biggest, not pet peeve, but I guess my biggest regret with content marketing is that companies and organizations don’t take enough risks with it. In my mind, you know, content marketing represents an enormous opportunity to do things differently, and not do things the way that we’ve always done them. And so really embracing that opportunity, to me, is the biggest opportunity. And when companies don’t do that, that’s my biggest disappointment, pet peeve, regret. Kristien: And you made some predictions kind of about that in 2016 for content marketing. So did any of those come true? Did content marketing become bolder? Ann: I think so. I think there’s certainly… People are walking by, it’s very distracting. They keep catching my eye. I think some companies have done a tremendous job creating bigger, bolder and braver content. Others have not. So those who have been creating bigger and bolder content, I think have really embraced the opportunity. Not everybody has but, you know, we’re gonna keep pushing. That’s really what my message is all about, and really that’s what I want to inspire companies to do. So I think we’ve seen some companies do it, but not everybody. And so I guess I would say that when I stop talking about it, that’s when I’m pretty secure that, you know, that we’re good. That everybody’s doing it, you know? Kristien: Yeah. Do you have any favorite examples of brands that you love, that are doing content marketing well? Ann: Yeah, yeah. So god, so many. So many brands that I could talk about right now. I mean so a company that I talk about all the time, I’m gonna talk about here on stage tomorrow is Freaker USA. I love this company because what they do is they make little knitted drink insulators for your bottle. You know what I’m talking about, you know the company? Ann: They’re based in North Carolina. And what I love about what they do is that they have the most pedestrian products on this planet. It’s a drink insulator, but yet the story that they tell is a bigger, braver, bolder tale. I mean, they tell a story in their marketing that just makes you want to be part of this movement. And I feel like if they can do it, and they sell drink insulators, then I think, you know, any of us can. Kristien: Do you have any predictions for 2017? Ann: Yeah, so two predictions for 2017. One is this, is video. I feel like if you don’t have a video strategy going into 2017, get on it because now is the time to do that. You might thing it’s weird for me, a writer, to recommend a video strategy, but I think video is absolutely the way to show the lifeblood of your organization. But it also means that I think if you pair it with text, with well chosen words, that you can make your video even stronger. So I think there are opportunities to marry video and text, and make something that’s truly different, truly unique. I’m gonna talk about a few examples tomorrow. Kristien: Speaking of that, can you give us a little sneak peek of your keynote tomorrow? Ann: So my keynote tomorrow is about content. I’m gonna be talking about creating bigger, bolder and braver content sharing. A bunch of my favorite companies, who I think do it really, really well, to inspire all the companies who are here. What is it? Like 1200 people here, something like that? To inspire everybody here to do something similar, to do the same. To really embrace this opportunity of content. I’m going to be talking about bigger, bolder, braver content. I’m going to be talking about tone of voice. I’m going to be talking about what does it mean to have a bigger story. I’m hoping to give a little bit inspiration, but also just give some real practical takeaways. Because the thing I can’t stand is when a keynote and you go, “Well, that was awesome. Now what?”. You know, I want people to be able to take that next step. Kristien: Do you have any takeaways for tomorrow? Ann: You should absolutely be there. That’s my number one takeaway for tomorrow. Kristien: Well, thank you so much. Kristien: We’ll definitely be there.